Tribal Seeds wants to elevate your consciousness. Hailing from San Diego, the six-piece reggae group has been spreading its message of global goodwill since 2003, when brothers Tony-Ray Jacobo and Steven Rene Jacobo started the band. The pair grew up in a musical environment, so the transition to full-time musicians was natural. “We grew up with reggae in the household,” says Steven, “so it naturally turned into something we love. I’d say that reggae is something that has always connected [my brother and me].” After finding musicians to complete the group, Tribal Seeds set out to play shows, eventually moving to nationwide tours. The band has had considerable success along the way, earning the praise of critics and garnering awards. 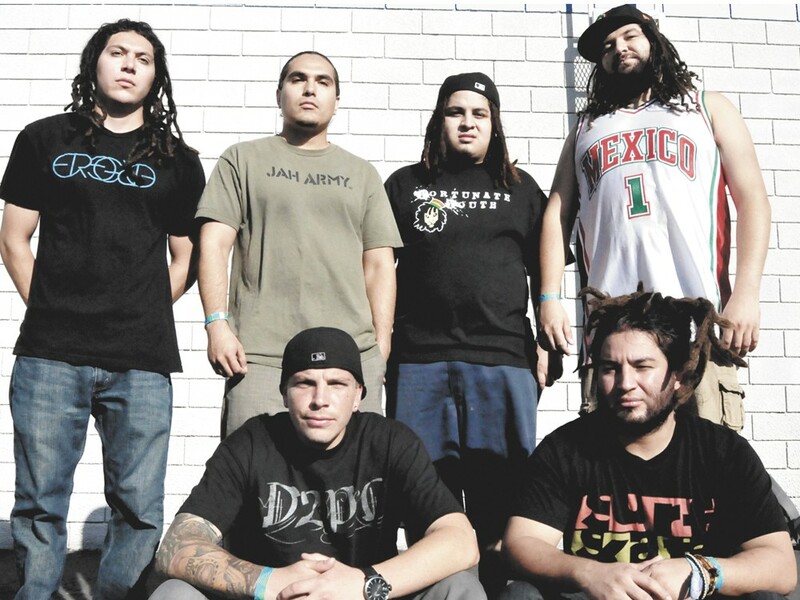 The band’s 2008 selftitled debut album, Tribal Seeds, was named the iTunes 2008 “Best Reggae” album and earned the “Best World Music” title at the San Diego Music Awards. The following release, 2009’s The Harvest, and the recent 2011 EP Soundwaves solidified a rapidly growing fan base. And although some reggae bands tend to only circulate within the genre, Tribal Seeds has taken the stage with notables like MGMT, Jack White, and Cee Lo Green. It helps, naturally, that its members are dedicated to reggae but willing to experiment. Tribal Seeds’ lyrics are almost exclusively sung and written by Jacobo brother Steven Rene, who effectively plays the role of a hip, weed-smoking preacher. In “Dawn of Time,” Jacobo sings: “Know of your passion, roots, and culture/For you know who brings forth, all the fruits of nature/Who brings forth your light when the earth turns to dark.” Other topics include creation, universal love, and even girls, all delivered in the same cool packaging.